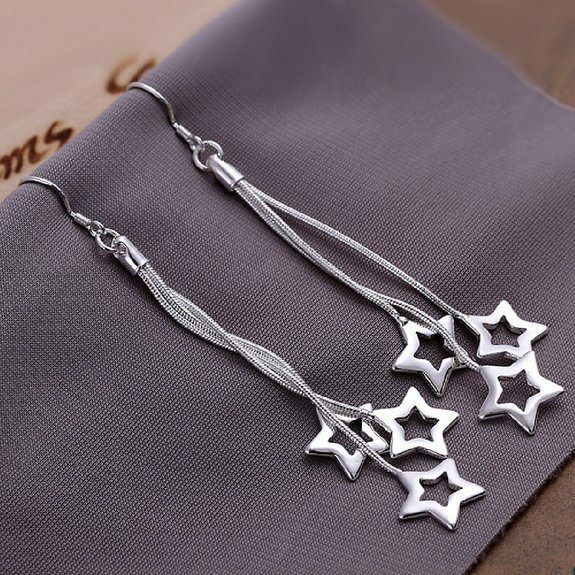 3 Star Drop Earrings Only $3.33 Plus FREE Shipping! You are here: Home / Great Deals / Amazon Deals / 3 Star Drop Earrings Only $3.33 Plus FREE Shipping! Hurry over to Amazon to get this whimsical 3 Star Drop Earrings for Only $3.33 Plus FREE Shipping! These earring are over 3 inches long and will make a great accessory whether you are going casual or dressy!